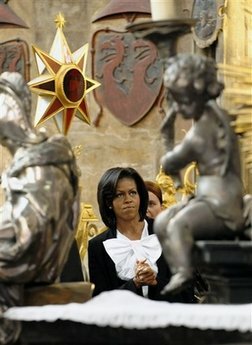 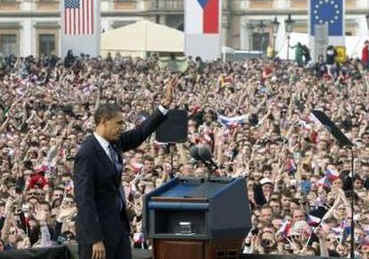 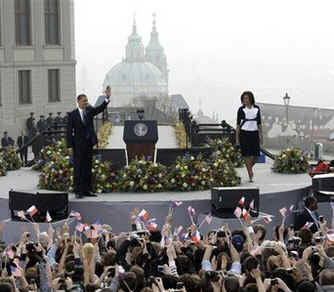 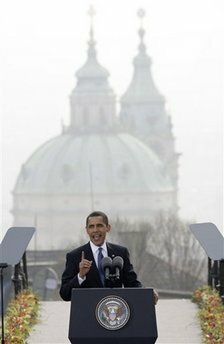 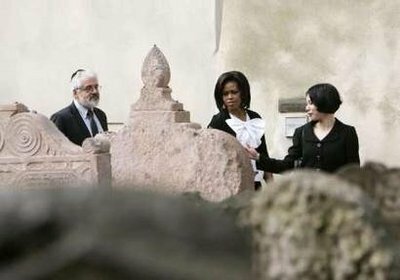 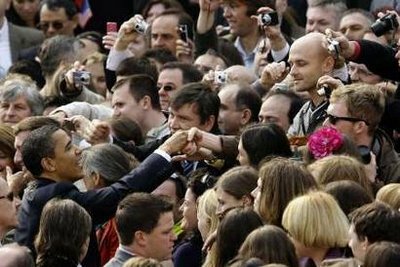 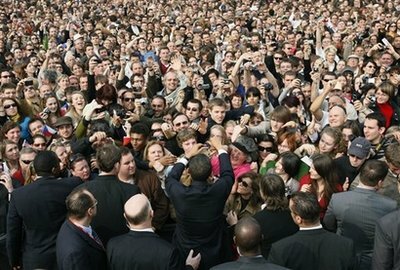 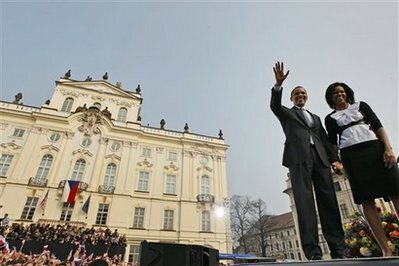 Obama in Prague, Czech Republic - President Barack Obama in Europe - April 5, 2009 - President Obama in Prague, Czech Republic for European Union Summit and Prague Speech - First Lady Michelle Obama Visits Prague Churches. 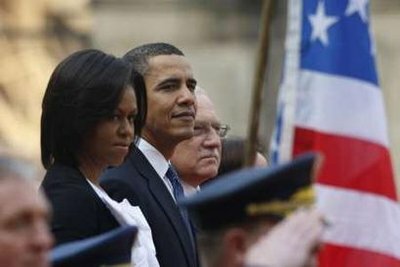 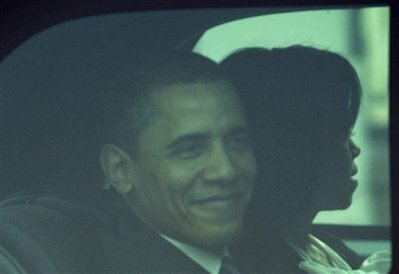 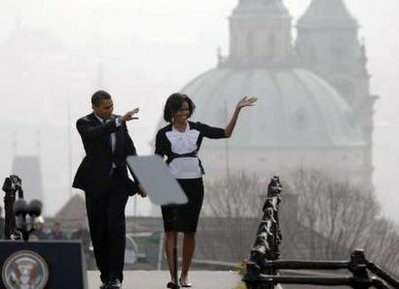 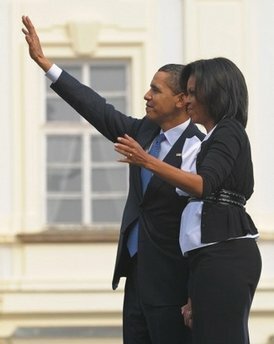 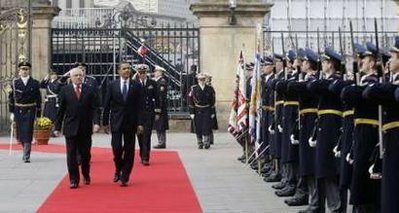 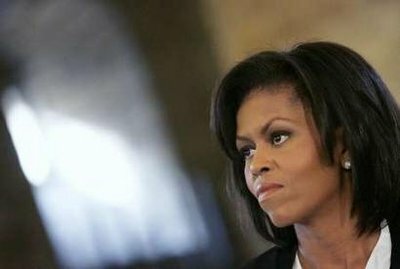 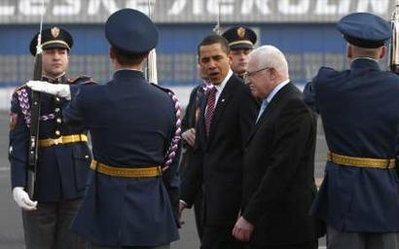 President Barack Obama and First Lady Michelle Obama arrive at Ruzyne Airport in Prague on Air Force One on April 4, 2009.
honor guard President Obama and First Lady Obama leave for the Prague Hilton to prepare for a busy next day in the capital. 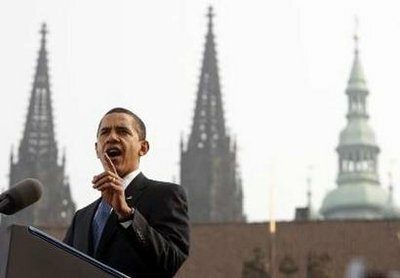 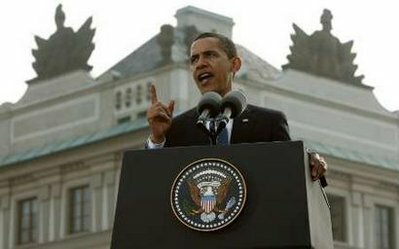 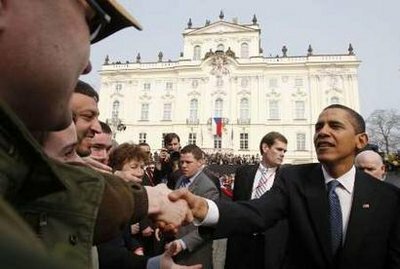 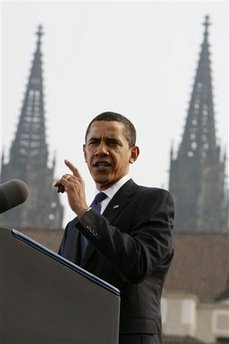 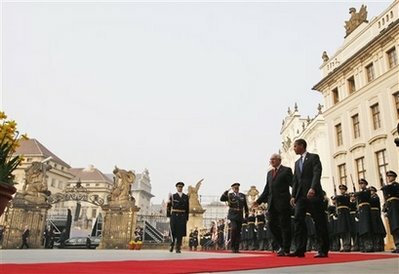 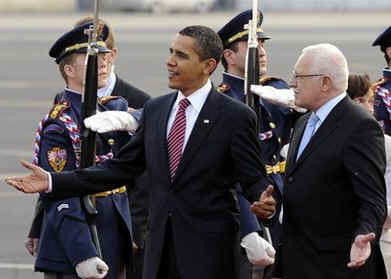 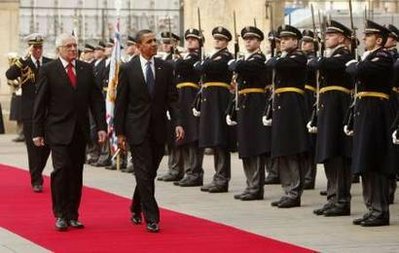 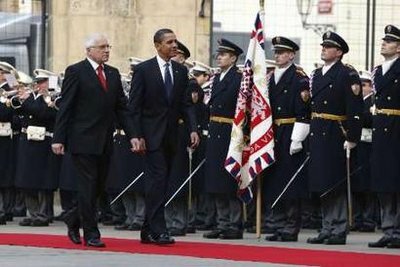 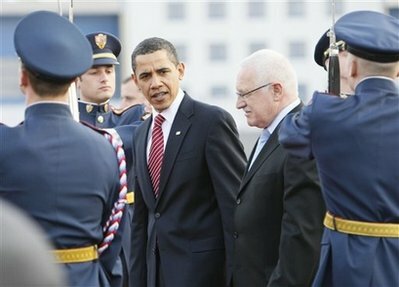 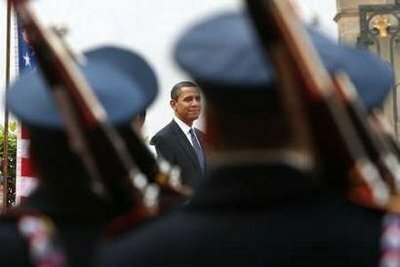 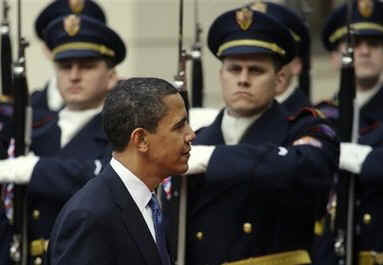 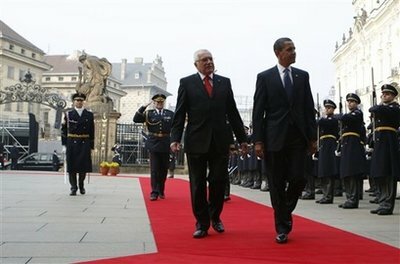 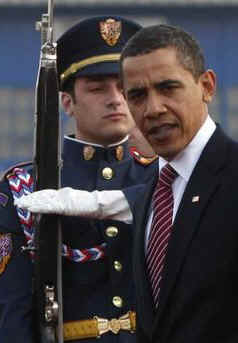 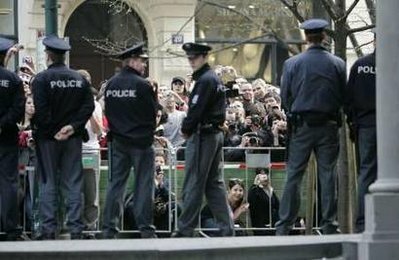 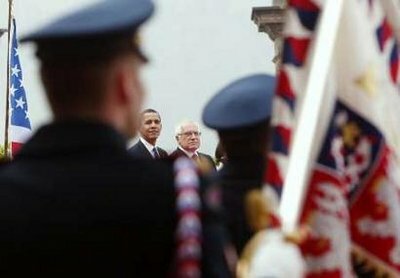 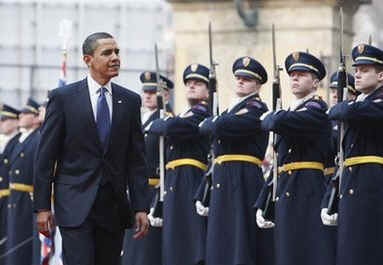 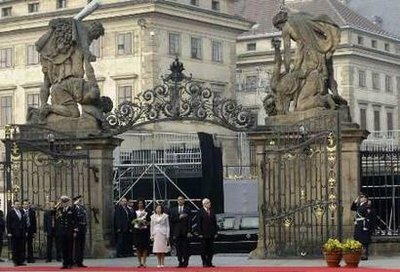 Obama inspected a Czech honor guard after his arrival at the medieval Prague Castle. 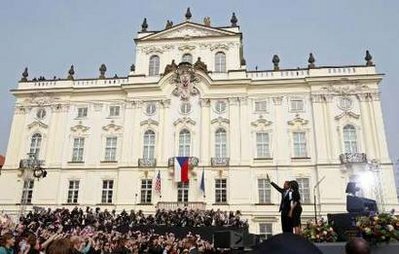 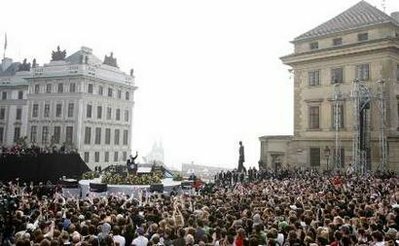 of the American and Czech national anthems in the square of the Prague Castle with Czech President Klaus. 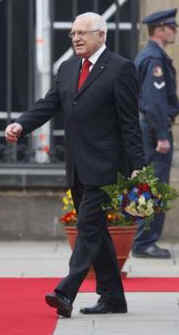 Mirek Topolanek. 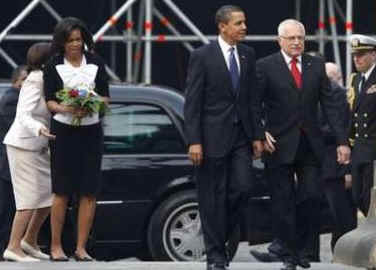 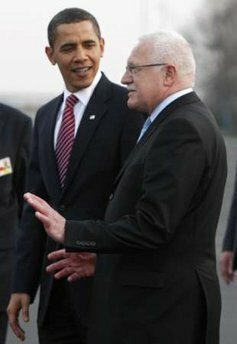 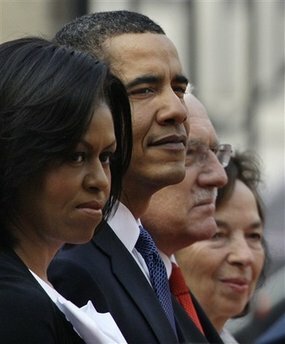 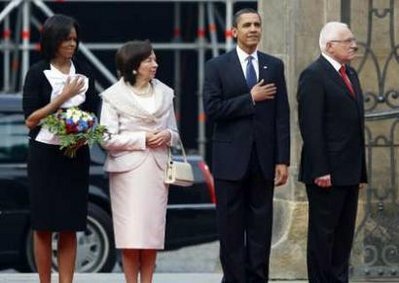 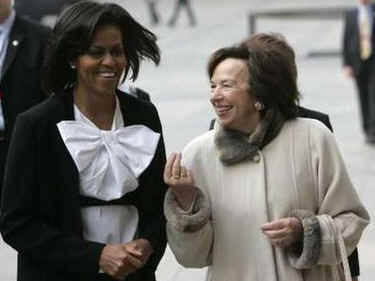 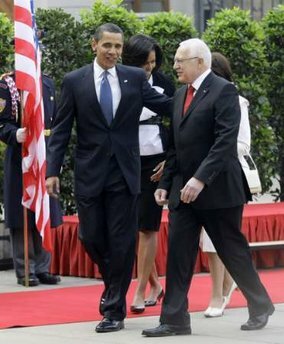 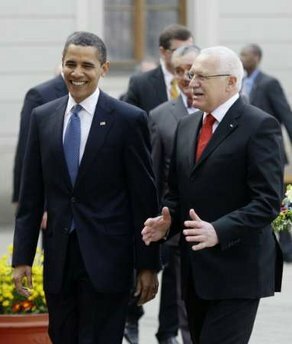 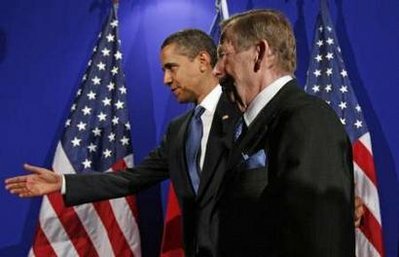 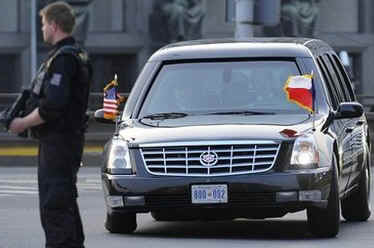 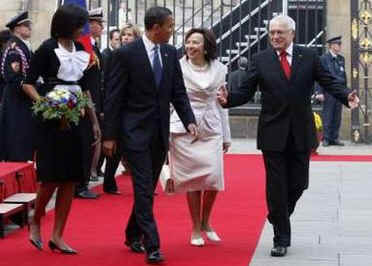 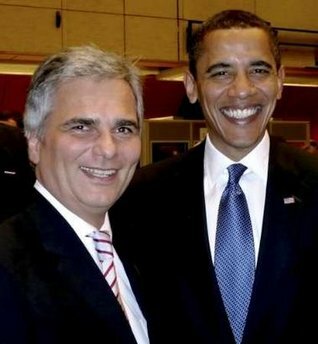 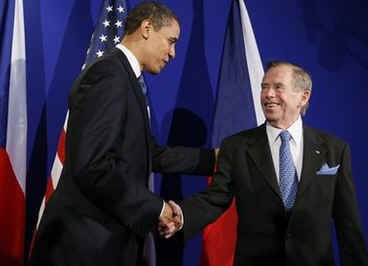 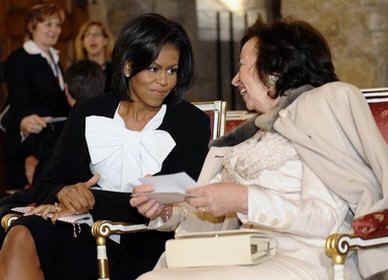 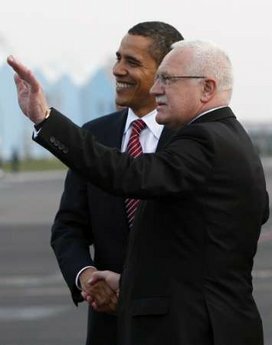 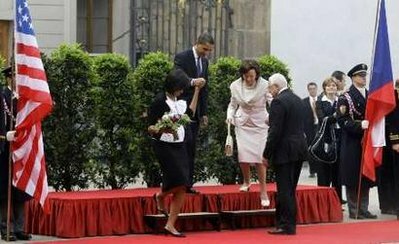 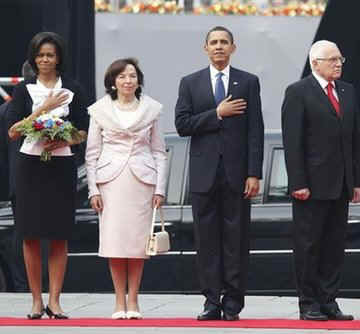 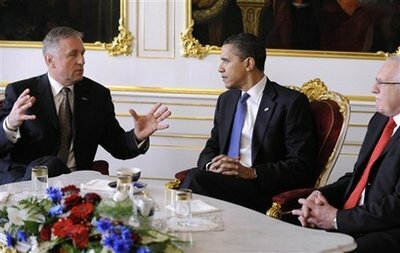 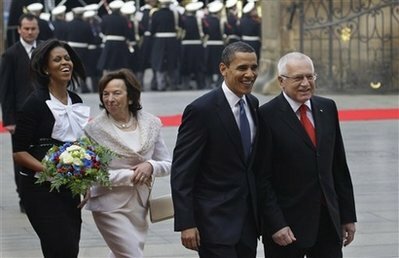 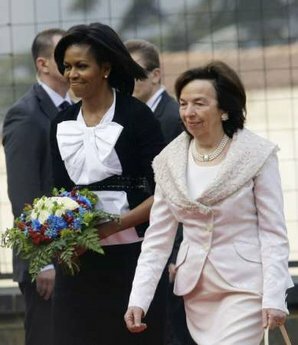 The US and Czech First Ladies joined their husbands after they met in the Prague Castle on April 5, 2009. 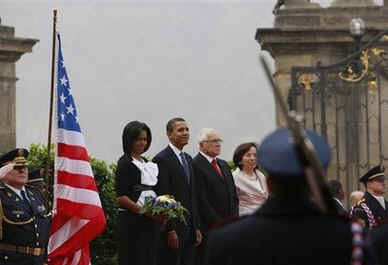 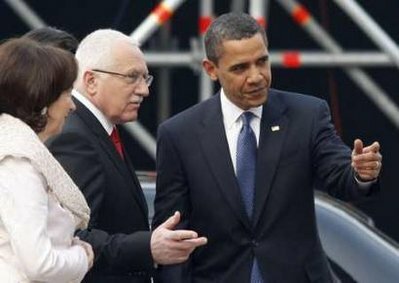 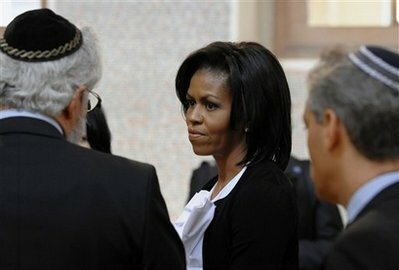 Obama kisses Michelle before his public speech in the square of the old city capital surrounded by historic buildings. 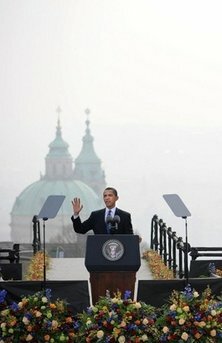 Prague, the capital of the Czech Republic. 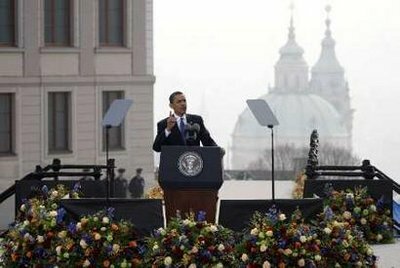 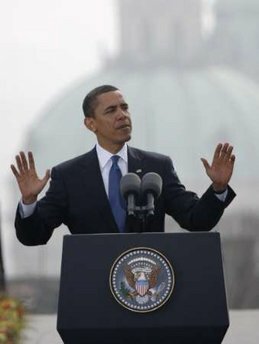 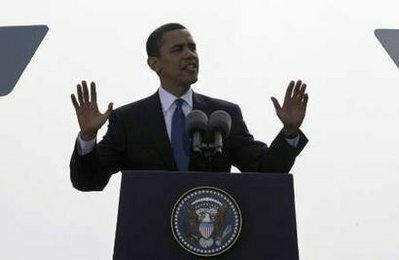 President Obama spoke of a world free of nuclear weapons in the future. 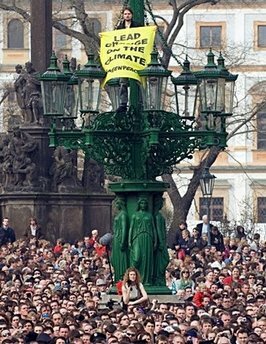 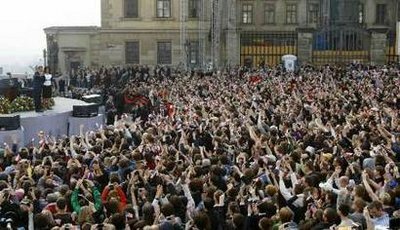 Hradcanske Square in Prague on April 5, 2009. 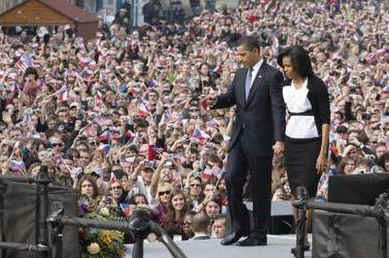 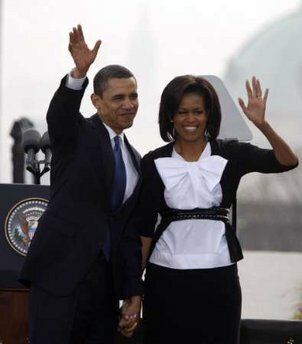 The US President and First Lady greet the crowd after Obama's speech. 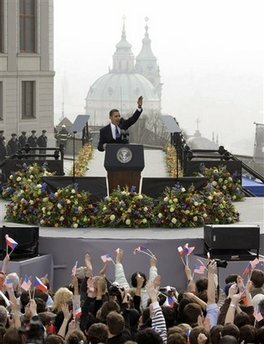 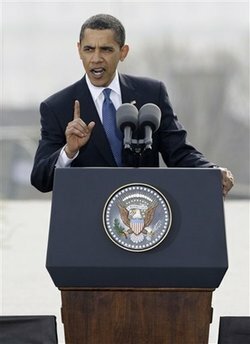 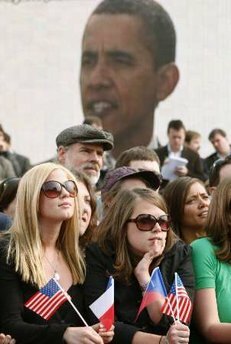 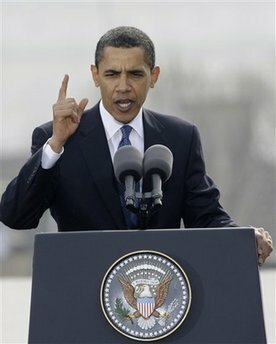 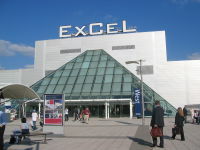 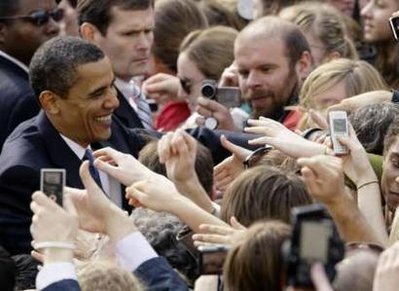 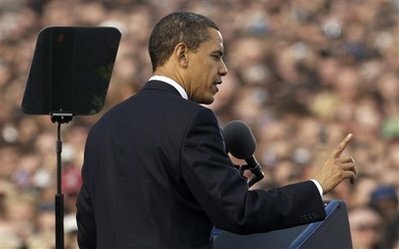 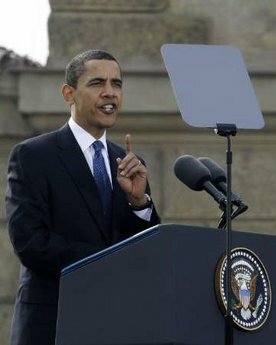 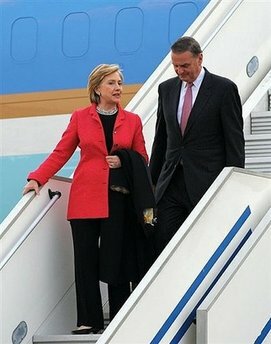 April 5, 2009. 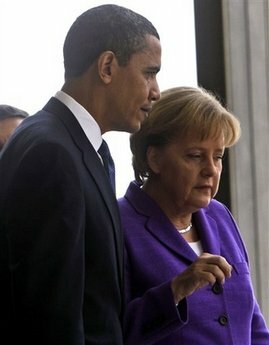 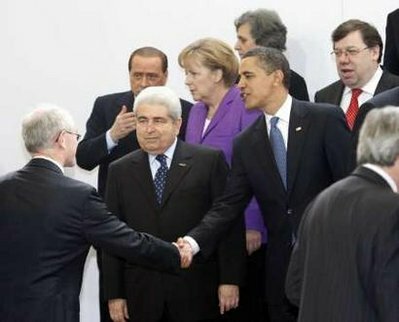 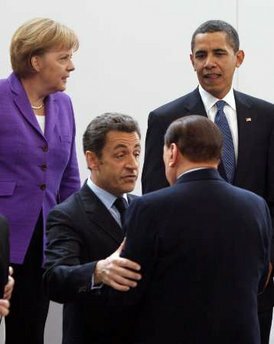 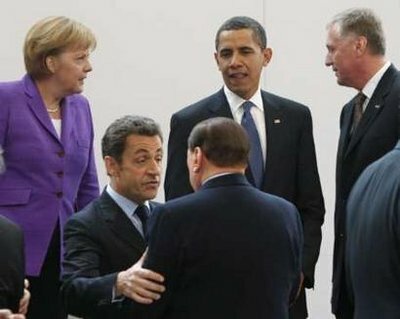 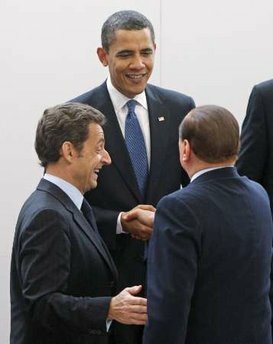 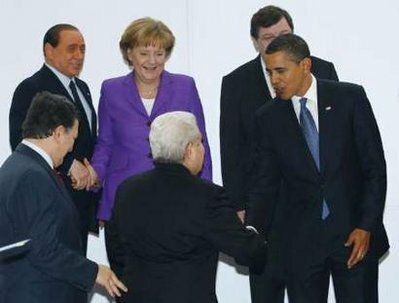 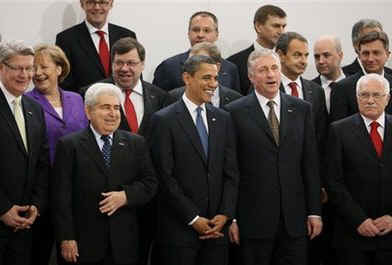 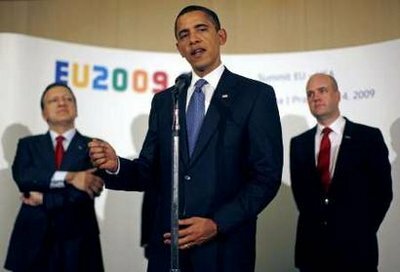 The European Union leaders and President Obama met for a group photo then broke off for bilateral meetings. 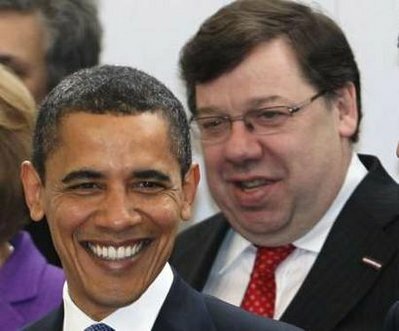 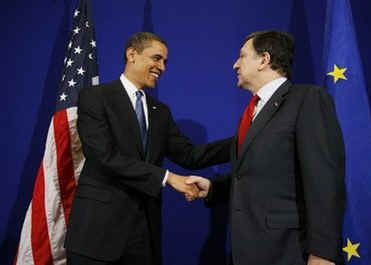 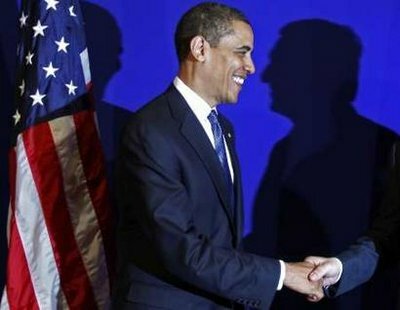 President Obama met with Jose Manuel Barroso the President of the European Union. 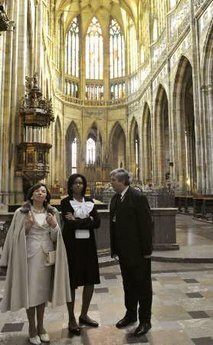 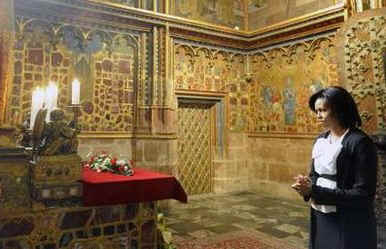 Vitus Cathedral, and Saint Vaclav Chapel in the Prague Castle. 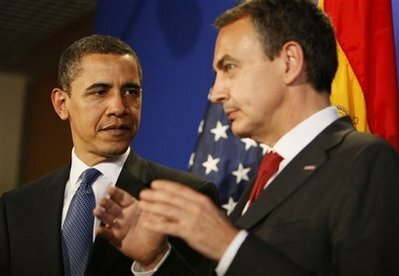 Spanish Prime Minister Zapatero, and Polish President Lech Kacynski. 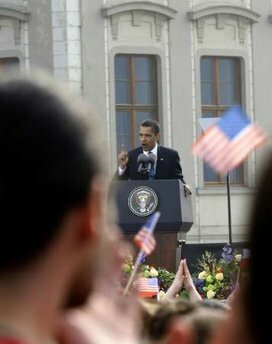 Obama wrapped up his EU visit with a brief statement. 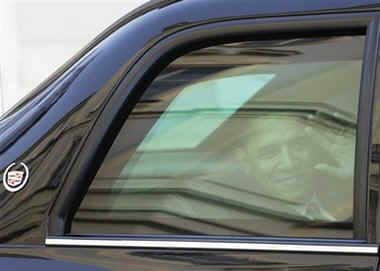 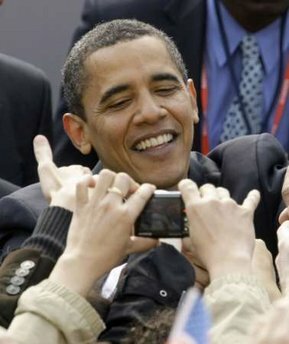 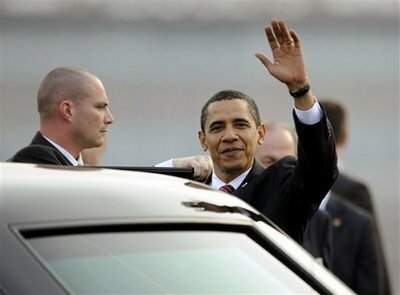 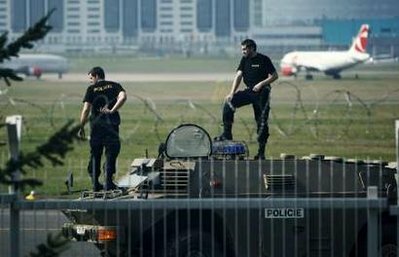 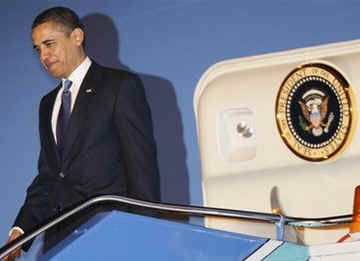 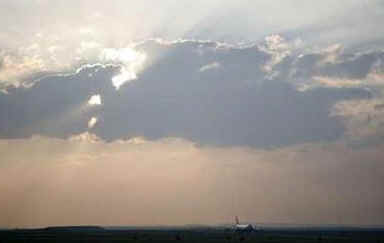 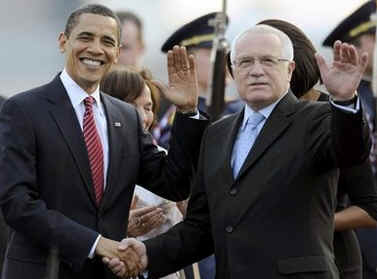 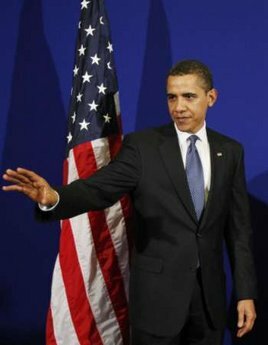 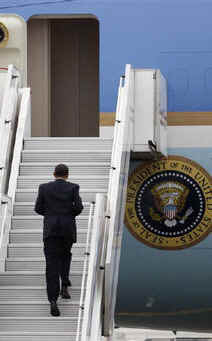 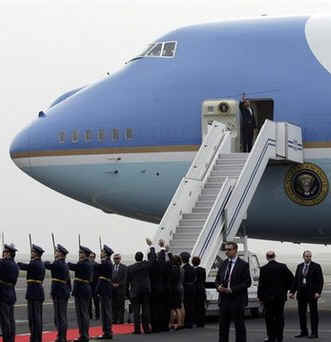 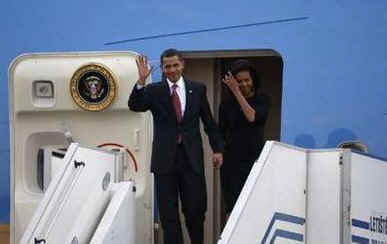 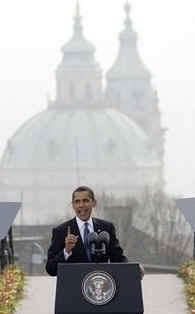 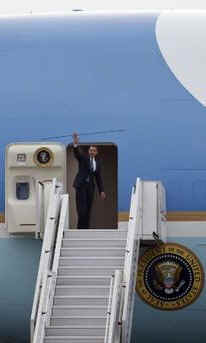 President Barack Obama leaves Prague on Air Force One for Ankara, Turkey the next city on Obama's European tour. 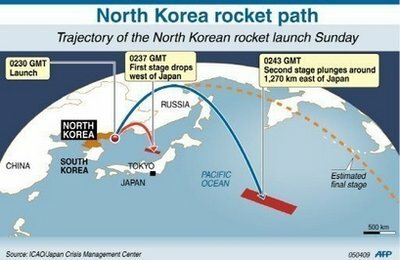 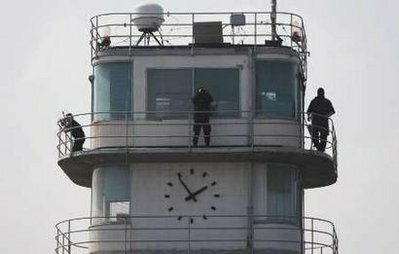 On April 5, 2009 North Korea launched a rocket announcing it was a test launch for a North Korea's satellite program.